Staxigoe is situated about a mile north of Wick on the road to Noss Head. In the mid-1800s, it was the largest herring station in Europe and the industry created work for gutters, coopers, basket and sail-makers, carpenters and not least, the fishermen themselves. 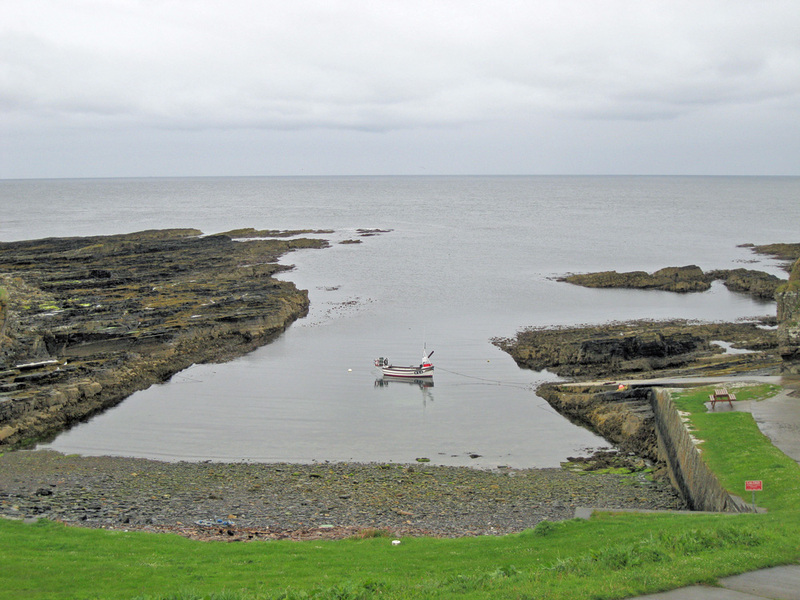 In the early days, as many as 50 boats could anchor in Staxigoe harbour. Gradually, as boats got bigger and became mechanised by steam, a safe haven was needed along the rocky windswept coast. Government provided the money for just such a project, and after some political manoeuvering, Wick was chosen as the port in which the new harbour would be built. Today it is a base for small creel boats.